As it turns out, this is very easy to do by simply modifying some of the scripts from Chapter 7 and combining coding with a carefully created SketchUp model. The secret for success is having a component type (the headers) that is named differently than everything else in your model. The video below describes the entire process from set-up to finish and shows three solutions: uniform, random, and wave bricks. The code is also included below. Combine it with a SketchUp model of your own and you can recreate this in no time. Of course, an interesting next task would be to find a way to communicate the brick pull dimensions to the builder, which is also reasonably easy since the extensions distances that this script generates only need to be added to the model (e.g. 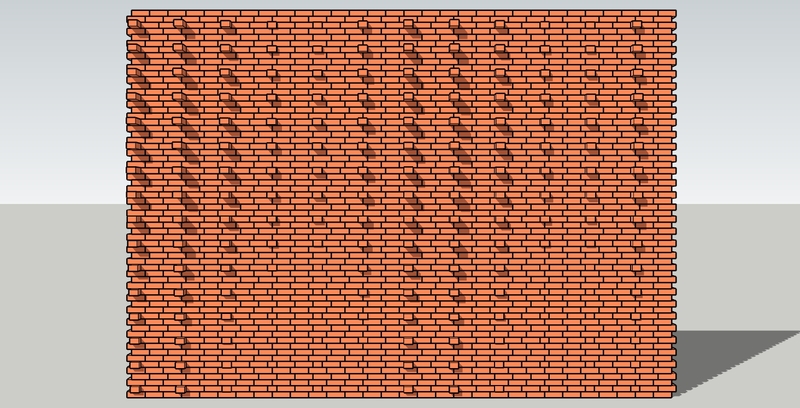 as text at the brick locations and placed on their own layer). Paste the following into the Ruby Code Editor and edit to your needs (e.g. 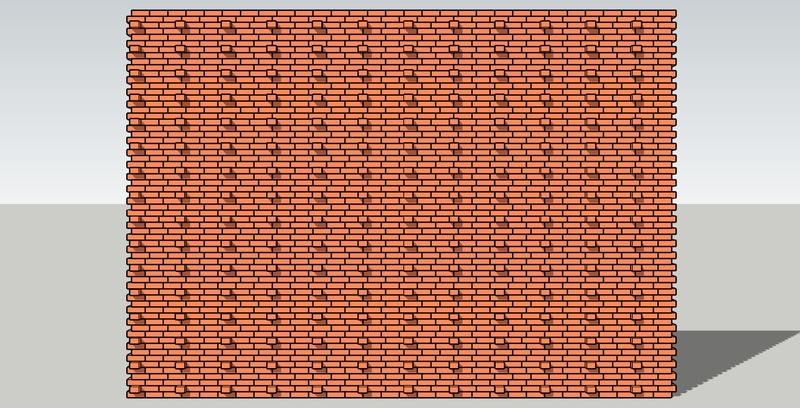 rename the brick component).